Heart and Sweat | San Diego Fitness Community: Press Fitness Adds EDM Yoga Every Thursday! Press Fitness Adds EDM Yoga Every Thursday! Press Fitness in downtown La Jolla has a new offering on their schedule, and we're not complaining. In fact, we're ready to get our glow on! Join them for a heart-pumping YogaBurn every Thursday evening at 6:30 pm with yoga goddess Elena Consoli. 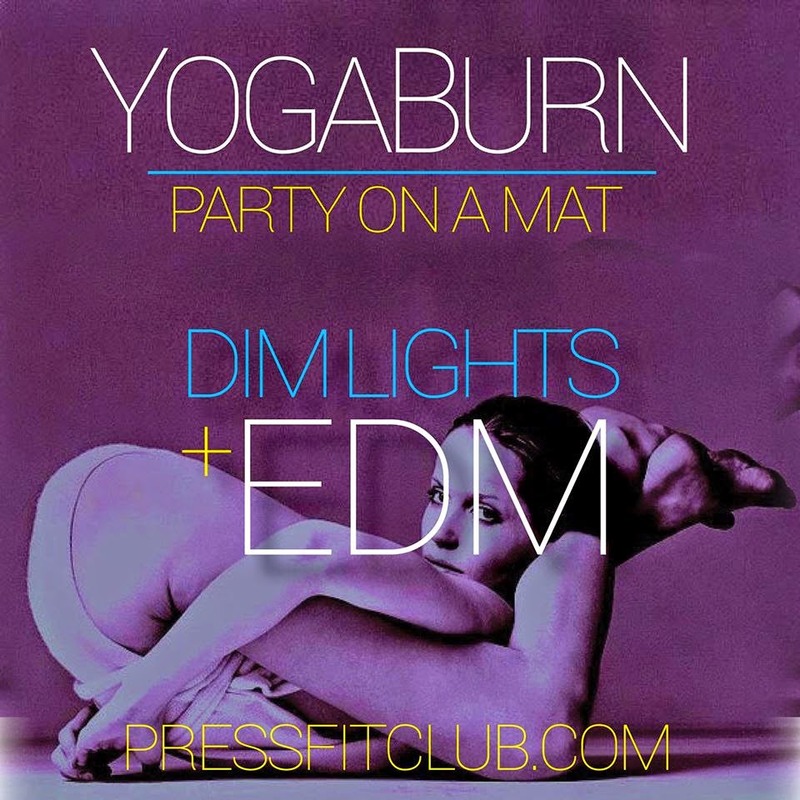 With dim lighting and EDM music, it's a fun way to spice up your usual vinyasa routine. Classes are free for monthly members, or only $14 to drop in! Learn more at pressfitclub.com or on their Instagram @pressfitclub. Heart and Sweat is a San Diego fitness community inspiring a healthy, sweaty lifestyle! We produce fun community events and weekly blog articles, while bringing awareness to special workshops, classes, and events at partner studios. Discover free and donation-based fitness classes, and learn about local yoga, crossfit, barre, bootcamp, pilates, boxing, and spinning studios. Welcome to Heart & Sweat!